The journey from crude to highly refined process oil starts in the distillation column. The crude oil is heated and divided – or more correctly distilled – into fractions according to boiling point. The residual fraction, which is referred to as the bottom fraction of the distillation process, is refined into bitumen products, while the lighter part of the crude oil is distilled into different fractions, so called distillates, the precursors to our final process oils. The journey from crude to highly refined base oil starts in the distillation column. The oil is heated and divided into fractions according to boiling point. The fractions at the bottom have the highest boiling point and are refined into bitumen products, while those higher up in the column are more suited to base oil production. After distillation, the next step is hydrotreatment, which transforms the distillates into base oils for lubrication. How does it work? The distillate is mixed with hydrogen and heated to over 300°C. This 'treatment' reduces aromatic content and removes sulfur, nitrogen and oxygen, resulting in clean oil – ideal for lubricant production. 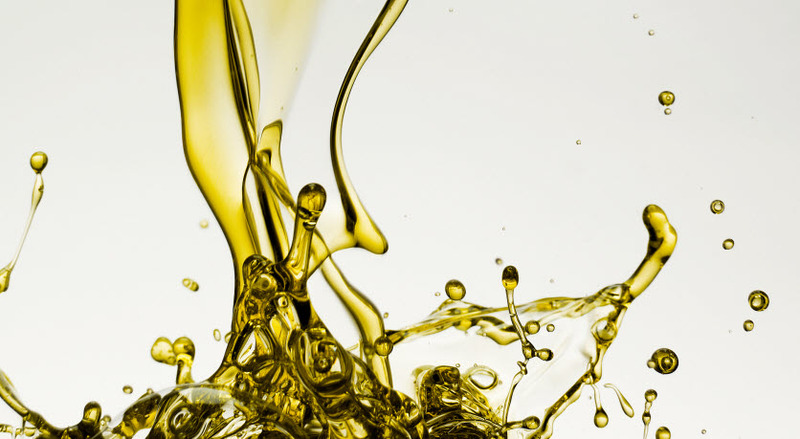 The absence of waxes in our naphthenic crude ensures the refined base oils offer excellent low temperature properties. To simplify your operations, we offer a final product blending service. Ideal if you do not have the resources in-house or if you have outsourced some of your production. For details, talk to your local sales office.